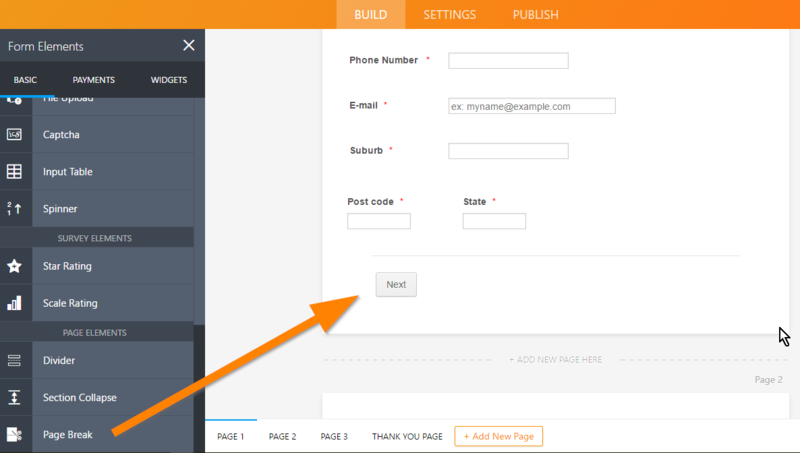 Inside of this guide you can find how to change the page title, in the new interface (Version 4 of our Form Builder). Please provide us ID of the form you have issues with. 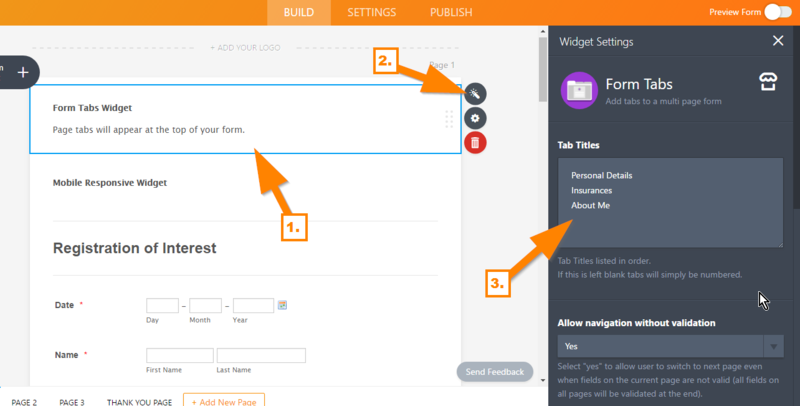 Also tell us which page title do you want to use. 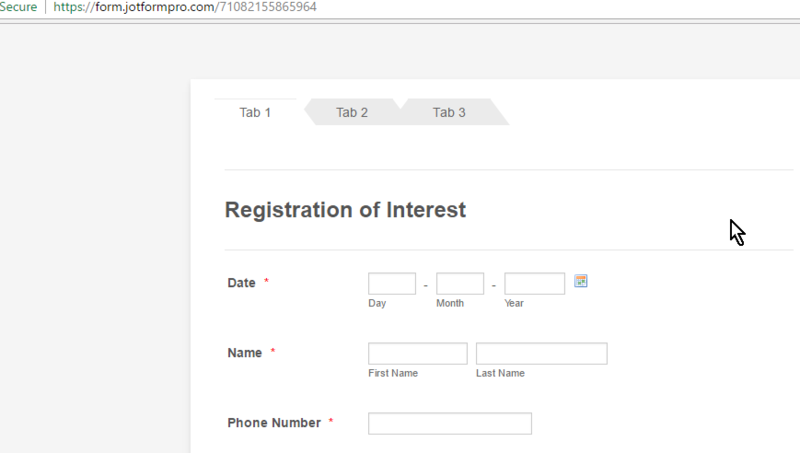 Form that you last edited http://www.jotform.co/form/62100980103845 has title that you have set inside of form settings. Yes it used to have 3 separate pages/tabs and I have changed it 1 page as I was unable to rename them. I am not really sure if we are on the same page here. 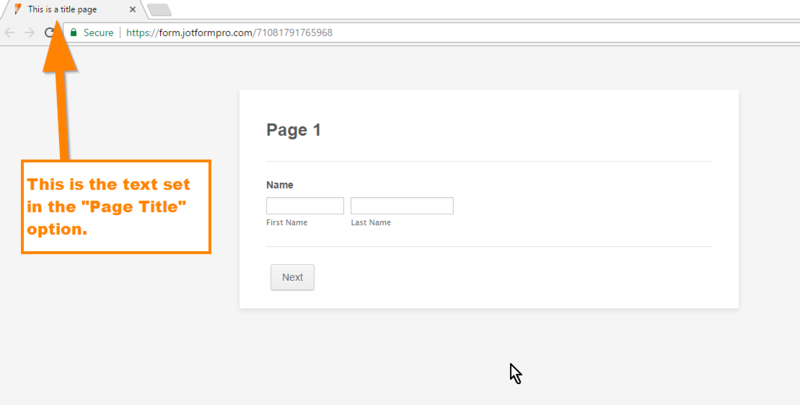 Currently, the "Page Title" option will reflect on your browser's tab, as shown by my colleague on her screenshot, note that this is NOT associated with your form's pages. Note that navigating to different pages won't change the page title fixated in the browser. As defined in the settings, here's what the "Page Title" option refers to: "Used in the HTML <title> when shared as a standalone page.". 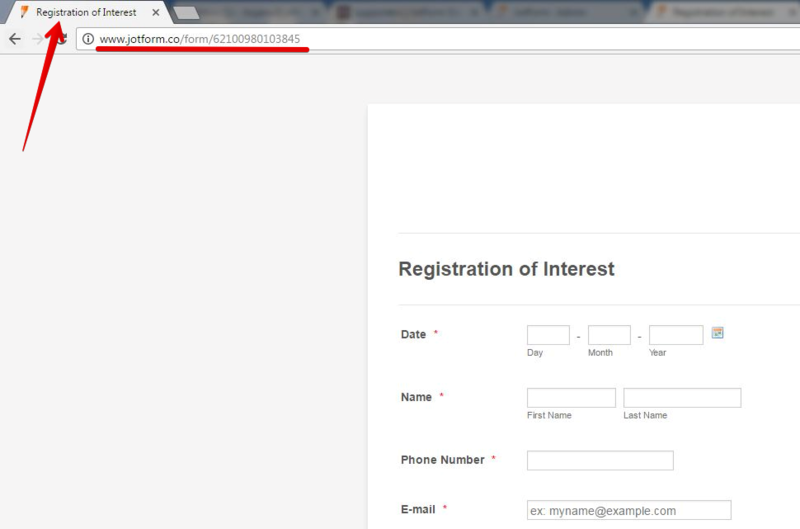 The form itself is considered ONE page in HTML, so it only has one page title. If we still misunderstood your concern, please do provide us more details. To further assist you, here are some questions just to clarify that we are on the same page. 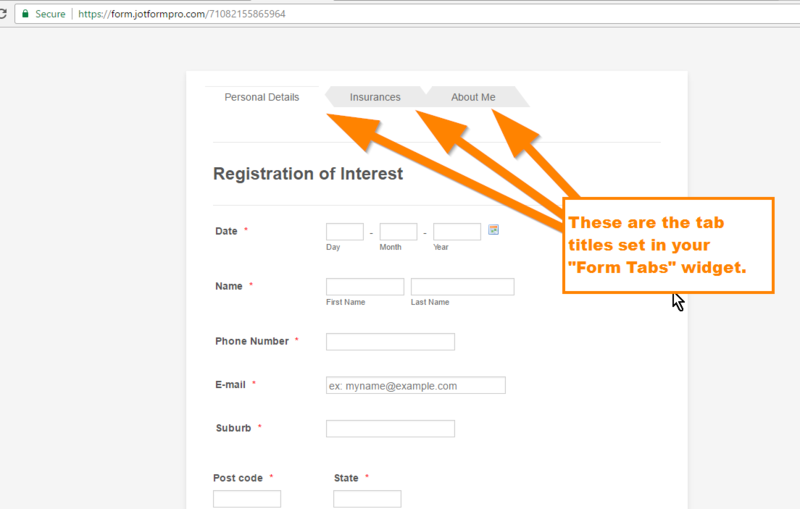 Note that the Form Tabs widget only works IF the form is using page breaks. In my case, I added a page break to divide my form to pages. You can also click the "Add Page Here" button. 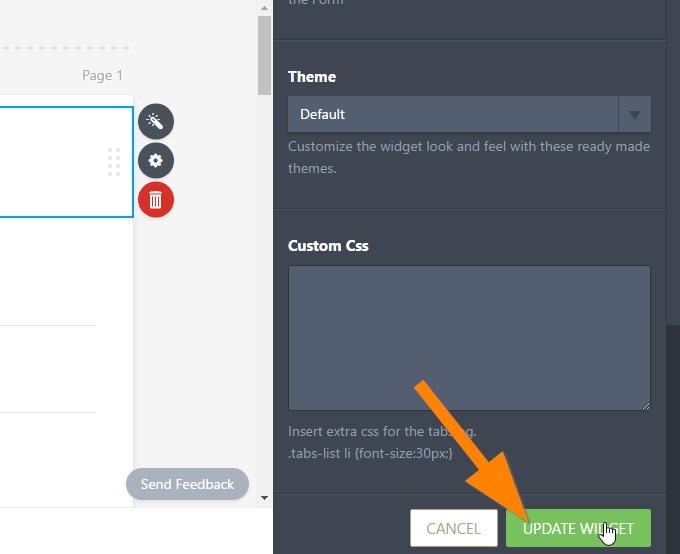 Now if you want to edit the tab titles, then simply open the Form Tabs widget again, edit it there, but make sure to hit the "Update Widget" button. Here's how it looks like after editing the tab titles, I just set it to "Tab 1", "Tab 2" and "Tab 3". Yes that’s it! Thank you so much!! 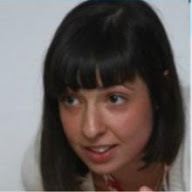 This e-mail and its attachments are confidential and/or privileged and intended for the use of the addressee only. Should you not be the intended recipient of this e-mail you may not copy, distribute, take any action in reliance on it or disclose it to anyone as this is unlawful. Any privilege or confidentiality is not waived or lost by reason of mistaken transmission to you. If you have received this e-mail in error please destroy the original, any copies or extracts and summaries and immediately notify the sender. I'm glad to hear that everything seems to be good on your end now. Should you need our assistance again, feel free to drop by here in the forum.